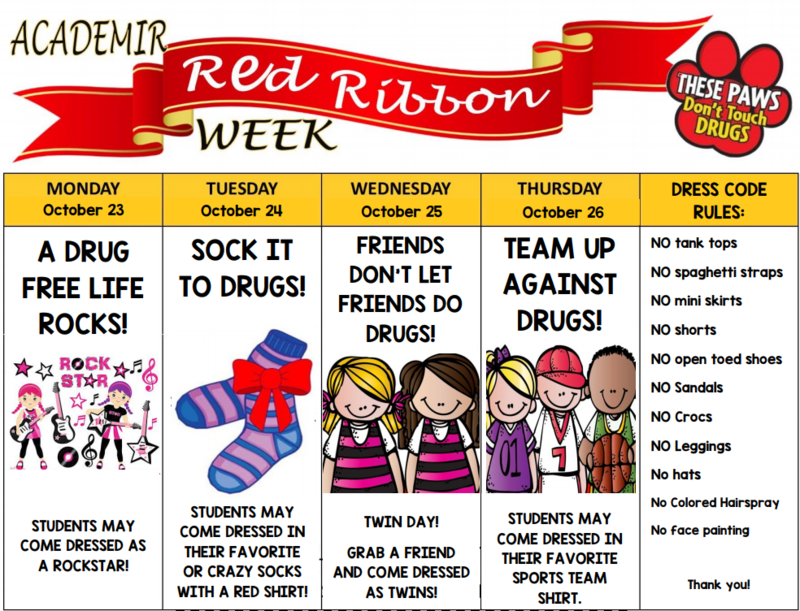 Next week is Red Ribbon Week! We cant wait to see all of our Tigers dressed up! 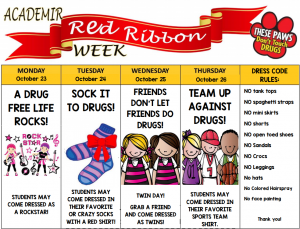 Take a look at what they can wear during the week!